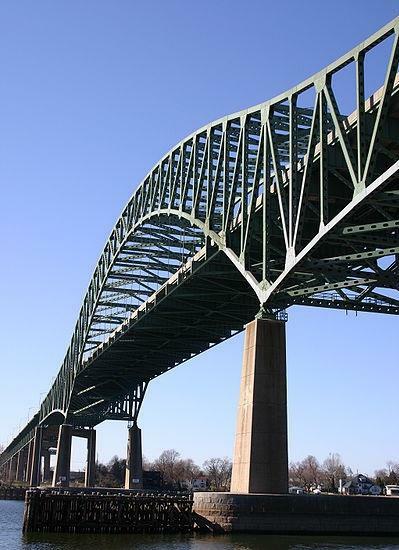 AEA has provided engineering services to the New Jersey Turnpike Authority (NJTA) for the preliminary and final design of electrical and lighting upgrades to the Delaware River Turnpike Bridge Structure No. P0.00. Design services included all contract documents for electrical and roadway lighting improvements. This structure is owned by NJTA and the Pennsylvania Turnpike Commission (PTC) and designed to satisfy both agencies. AEA conducted in depth site visits to assess existing conditions and submitted recommendations to address deficiencies of the existing electrical systems. Scope of electrical upgrades included, conversion of roadway lighting to steel poles, installation of LED roadway lighting luminaires, modification of solar-powered navigation lighting to a hard-wired system, and installation of an LED aviation beacon. Modifications to the navigation and aviation lighting system were coordinated with the United States Coast Guard and Federal Aviation Administration. Specified fixtures were selected to match existing inventory of NJTA Maintenance. Temporary lighting plans were required to transition to the final lighting conditions. Additional requirements for working within the vicinity of 138 KV overhead catenaries owned by AMTRAK were specified. Modifications to the New Jersey load center were required to accommodate proposed conditions. Design included installation of a prefabricated building in Pennsylvania to house an emergency generator and electrical distribution equipment. Furthermore, a redundant feed to tie the New Jersey load center and Pennsylvania load center was implemented as an additional back-up. AEA coordinated with PECO and Public Service Electric and Gas to obtain approval of electric service request and approval of the redundant feed between both utilities. Temporary lighting utilized existing facilities to reduce construction costs.